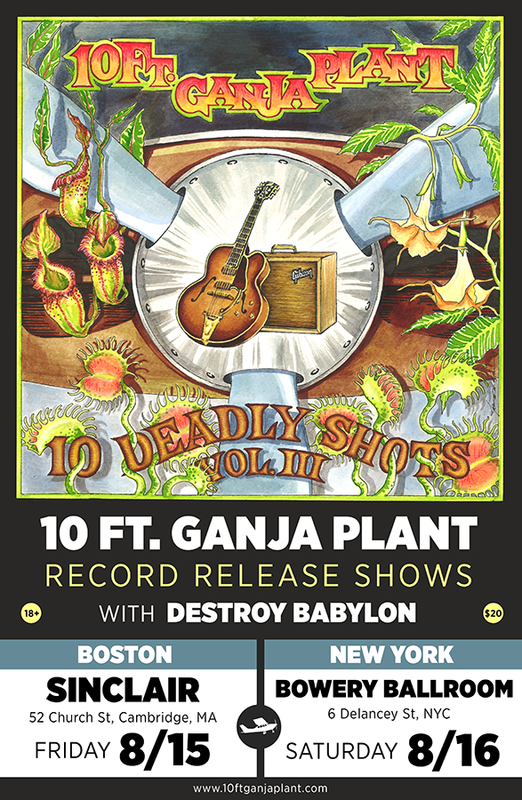 10 Ft. Ganja Plant come hard with two, count that TWO record release shows this summer! Friday August 15th in Boston at The Sinclair, and the following night in NYC at Bowery Ballroom. New album 10 Deadly Shots Vol. III will be available at the shows, & hits the streets soon after- stay tuned for album pre-sale info. The extended 10 Ft. Ganja Plant musical family will be there. We hope you'll be there too!